As you know, I am all about music! So I’ve invited my buddy Roland Yeomans to talk about soundtracks for novels. My novel, END OF DAYS, does. My favorite movies have stirring soundtracks. I hear music when I write scenes. When I was writing the climatic chapter, DUEL OF THE FATES, I heard … no, not that tune but ANAKIN VS. OBI- WAN. How do you write music into your novel? In the chapter, THERE IS NO FAIL, Samuel McCord is evading and firing upon a swarm of dragons attacking the Blackhawk helicopter he is piloting. I have Alice hearing in her thoughts (courtesy of Victor Standish who is haunting her mind) Jesse Cook’s RATTLE & BURN. The title to the tune says it all. If you look it up on YouTube, the music will add to the scene. Yet, the title is all that is needed. As Alice is playing poker with Samuel in the haunted jazz club, Meilori’s, I have the ghost of Hank Williams singing the song written by his son, TUESDAY’S GONE WITH THE WIND. Alice is mourning Victor, and again, the title says it all. If you listen to the tune, it will add to the scene but you don’t need to hear the music. Earlier Alice encountered DayStar, who believes himself Lucifer, as she is about to enter Meilori’s. Samuel is playing the WWII British song, THERE’S A TAVERN IN THE TOWN. DayStar is livid and explains why. It is the song the RAF pilots sang during the London Blitz. Its upbeat tempo was in defiance of the fact that they were fighting a losing battle in the skies and knew it. Samuel playing it and Father Renfield singing it means that they have accepted that this is the End of Days. They are refusing to give into despair but are pledging their lives to fight to the death for a cause larger than they … as the two of them had done with those valiant RAF pilots. Now, do you see how you can put music into your own novel? Thanks to those of you who left comments about a feature at the A to Z Blog. I will try to get to everyone within the next week! Cate Masters Is offering her book, Orion Risings, free for a limited time. Beat feet to her site for details. 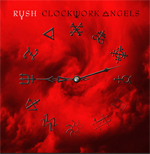 Picked up Rush – Clockwork Angels this week. Their 20th studio album, it’s a great disc. Not what you’d expect from guys approaching sixty! The fact they can remain relevant for forty years is a testimony to their great songwriting and musicianship. I’m an unabashed fan, so check out the reviews online – it’s been very well received! Movie tagline answers – don’t kick yourself! Does your novel have a soundtrack? Have you read End of Days? Ready for another blogfest in September? Pick up the latest Rush CD? Kicking yourself for not knowing the answers to the movie taglines? Think the Red Letter Media guys made some valid points? Anyone going to the movies this weekend…? Hee hee, all of my stories have soundtracks - I can't help compiling them in my head! I can imagine digital tech allowing writers to have mood music playing while you read chapters of an ebook, spooky music for spooky chapters etc. I can also imagine all right-thinking individuals turning that feature off. You know, I really liked Prometheus, even while acknowledging the flaws. I think it's because I made a concerted effort not to let the hype drive me into uber-expectation mode. Plus a movie that visually gorgeous (by the gods, that opening sequence!) is usually able to distract me from story problems. Also, I was just pleased to see a genuine scifi blockbuster again. Unless you count superhero movies, we don't get as many of those as we used to. Anywho, soundtracks. Mine are all orchestral. I love epic orchestral music (think: trailer soundtracks) and it motivates me while writing. I couldn't participate in the last blogfest due to busy schedule. so I'm really looking forward to the next one. Great piece on novels and soundtracks. Music is very inspiring and sets the tone for scene. Still have not seen Prometheus, but this clip was fantastic. And I love that quote from AoD. What a movie! And yay Rush! Love those guys so you know I'll be picking this up as soon as I can. I think I write better when I am thinking about music since it's such an important part of the rest of my life. Still looking for the soundtrack to my project though. Moody, it's not for everyone. JW, it was a great looking movie. George, he does have a lot of holes to explain. Melissa, wasn't it hilarious? And you'll be impressed with the Rush CD. And the clip on Prometheus is HILARIOUS! We have to wait until August for the blogfest news? You're such a tease! I never thought of a novel having a sound track! The idea is clever, and inspiring. I love hearing the music that would accompany a scene. Roland is so right! And Alex...Rush has new album? These guys are like the Energizer bunny. Alex- You never cease to amaze me! Do you have endless energy? Hosting yet another blog fest? Wow! I love music and always have it in my ears when I write. The songs I keep playing on repeat, is how I put together my play lists. I love the idea of a sound track. Really cool. I have put together a soundtrack for one of my books. I love imagining the scene set to the music. Can't wait to hear about your next blogfest. Red Letter nailed it, that was too funny! Technically rock music started my first book. I always loved writing about rock bands. But I've never used music in a story like this. Great ideas and information Mr. Roland! I will have to tell the husband that the new Rush CD got 2 thumbs up! Still ignoring all things about Prometheus until I see it for real! Oh yes! I don't make a soundtrack but my characters all have theme songs. That video was so funny! The biology guy was my big pet peeve. Both of my current WIPs have soundtracks--each of them completely instrumental. I love the way the lyric-less songs dont get in the way of my train of thought. Great post! Oh my gosh that video clip was so funny! Thanks for sharing! I can't wait til your new blogfest! Do you really have to keep us waiting until August to find out? Interesting news. I want to check out that album by Rush and also End of Days. Thanks! Have a great weekend. Sorry to say,I have not read End of Days. And yes certain songs play in my head when writing certain scenes. Wierd. End of Days, heck I cannot wait to read it. There has been so much buzz about it lately. Congrads Roland. Oh man, that video clip was an absolute riot, barring the language. Gotta have that Rush album. And I will buy it. Uh-huh! Have a super fantastic weekend, Alex! Me? Horseback riding. Woot! I hear music in my head all the time. My daughter just recently told me that I hum all the time--even in public. I said, "I DO NOT." I think I do. I got the music in me. Still haven't seen Prometheus, but still want to. That is a cool idea with the soundtrack, I do that a little but not to his extent. I might try it, it sounds a like a bit of fun. Oh! I should have known that one line was Jurassic Park! I love that movie! Elise, wasn't it a riot? Jaybird, I like the blogfests - what can I say? Rick, they did nail it. Kathy, it was hilarious. And sorry, you have to wait. Robym, you're a cool rocker chick! Sorry there was language. I almost didn't post the video because of it, but it was just too damn funny to skip. The vid on PROMETHEUS was truly hilarious. Despite the obvious flaws I enjoyed the movie, sighing that the screenwriters needed an editor! Thanks, Robyn. I hope you enjoy it, if just for the 12 illustrations by the great Leonora Roy and Orietta Rossi. Shelly, I hope you at least download the free sample: it contains some of the beautiful illustrations. Clarissa, thanks for considering my novel. Magical Mystical MiMi, Alice knows you will enjoy her adventures at the end of days! Ah, the confidence of youth. I don't ever write without music! All of my books have soundtracks. Yours sounds great - I haven't heard any of that music, so I'll have to look it up. Have a great weekend, Alex! Alex: I really enjoyed that review video. Thanks for posting it. I'll have to show Tim later. We saw the movie just this last week. I don't really have soundtracks for my novels . . .but some of my characters have songs I associate with them. And yes, I'll be ready for a blogfest in September! You know, my novel does not have a soundtrack but it might really help me if I thought of one. Thanks for this, Alex. Okay, that review was hilarious!!!!!! I just sent it to my man. Love it. Thanks for the laugh. Have a great weekend! Eerily enough the story I am currently working on if I could add music to it, would be Hector Berlioz Symphonie De'Fantastique That song always gives me the chills. I have been trying to figure out a way to add this into my story. Thanks for the posting. And yes on the Blogfest, it already sounds intriguing, since you are making us wait for the details. Yay for blogfesting! I'm excited! But... September??? Man... that's a long way off! No sound track for IN NAME ONLY. But I sort of do for some of the other things I've written, both fiction and non-fiction. Fun to have Roland here today. He rocks. I didn't think I would have a soundtrack for my writing, as I really don't like to write to music with words (weird, I know, but then I type the lyrics and it is all sorts of confusing), but I find increasingly there are songs that, when I hear them, they are just the right thing for a scene. Life should have a soundtrack in my mind. @Roland Rattle and Burn is everywhere and I didn't even know it! I just can't listen to music and write at the same time, it's too distracting! And we have to wait till August to find out what your blogfest is??? Way to make me incredibly curious. I love making soundtracks, and sometimes play around with the music too much, when I should be writing. But I love finding that one song that fits a scene and continually replay it while I write. I've got a full soundtrack for my WIP and it helps me imagine what the final product will be like. Thanks Roland & Alex! Miss Jack, easy when you see the answers, isn't it? Roland, always happy to host you! Thought you'd find the video funny. Will bottle up some energy and send your way. Julie, I need music when writing as well. Whisk, be sure he sees it! Mina, it was damn funny. Allison, too many people on vacation during the summer. soundtrack to the book, great idea. Many didn't know this I am part of a soundtrack site... yeah! I write to scores and find the upbeat ones or epic scores work the best for me... Superman, Superman Returns, Star Trek...any,Close Encounters of the Third Kind, Nightbreed... etc. It all depends on the story... once I listened to "Lightening Crashes" by Live for an entire book... I need to be sad... it's a sad song. On that note [pun intended]... great post today, Captain! Please check out my new "Creation" on scores/reviews/etc. Some of my novels have soundtracks and some of them don't. There's no real rhyme or reason to it. I've always imagined soundtracks for novels being the next step with our interactive reading media. It makes perfect sense to me. I would expect it would be optional. One of my novels has lyrics opening every chapter and went I sent a draft four years ago to my sister, I sent it with links and she listened to each one as she read the chapter. There's a Tears for Fears link, 'Head Over Heels,' that opens a chapter in which my character is hauling it out of bed to face a hard situation at work and my sister said the opening notes of the song were like an alarm going off in her imagination. It played out like a movie. Thanks, Roland and Alex! I love it attaching music to my writing. There are certain songs that whenever I hear them I think of my book. Some people actually create songbooks in iTunes. I don't do that, but my brain remembers! Alex: I don't think you CAN slow down! You have SO much energy I'm sure your third book will soon be on the market for us to enjoy. I'll look forward to this! So nice to see you again, Roland! You know I'm one of your biggest fans. You are truly amazing! I'm now going to check out your End of Days. I don't have a soundtrack for my book. I used to, but then I got busy with everything else that goes into a book and I didn't keep it updated. Jeremy, it is a sad song. And the fast metal songs work best for my action scenes. Suze, very clever idea! You were ahead of the curve on that one. Thanks Ann! You're right, I can't slow down. Can't wait to hear more about your blogfest...oh the cliffhangers! And I shall have to see if I can think of a soundtrack. I really haven't thought of music while I write too much. Maybe it cropped up in one or two scenes. I'm afraid I never listened to Rush much, but at least I'm aware of the band. Not a total muggle anyway. No soundtracks for me. I can't listen to music while I'm writing. It's very disturbing. What's that karma thing on your sidebar? I've never noticed it before. I based the chapter titles for one of my books on U2 lyrics. I guess that counts. I don't know if I can consider it a soundtrack, but my NEVERLOVE character, Abby, responded strongly to a Linkin Park song, Somewhere I Belong. So strongly that I've decided to add it to the story when I begin revisions. Kind of cool too. Hey, I didn't mean slow down in writing. I was just joking. I am sure you have a time-turner, no wonder you are able to do so much in a day. Btw..a reminder about your guest post on my blog. Hope you haven't forgotten it? Michael, the guy's delivery was perfect! And you haven't listened to Rush??????????????????????????? Responded strongly - I like that Angela! Rachna, I haven't forgotten! And if I could work on my novel at work, I'd do that as well. Man. Roland writes books faster than anybody I know. Funny, I listen to music all the time while I write, but never thought to put a soundtrack in my novel. Alex, you are always good for new ideas. Thanks! Loved the video! Glad to see they had all the same questions I did! I love Roland's idea...I'm off to think about what would align with my poetic offerings. Also thinking of a crafting book..?! Nicely done Roland! I think I'm one of the very few writers that don't listen to music to write, and I don't listen to it regularly either. Other than music for toddlers! And yes, I've read End of Days. Wonderful story! That's an interesting idea to have a soundtrack for a novel. Matthew, he produces ten to my one! DG, his books are excellent! Wendy, I felt the same way. Christine, I have it on my iPad. Thanks for the mention of Orion Rising, Alex! Much appreciated. Looking forward to learning about the new blog fest. Hi Alex, thanks for popping over twice. Makes me feel bad for not responding earlier. But when you are having a blast, it's ok to forget the rest of world, isn't it? I am tempted to check out Roland's books but his zombies and ghosts scare me. A soundtrack for a novel is interesting, wonder what you would choose for your books. I'll check out the band on youtube and see whether this music illiterate can understand their songs. Have a great weekend and looks like the third book is shaping up well. Dang. I think my answer's no to everything this week. lol Have a great weekend. LOL! Love the video. Great stuff. And looking forward to the new Blogfest as I do love Blogfests! ANd its amazing how RUSH stays relevant all these years. Airplane! is one of my all-time favorites. I should've known that one. I think a soundtrack for a novel is a great idea. Thanks for the info. Have a great weekend! Very cool, Roland! Have you thought about posting your "soundtrack" on Ping through iTunes. It's kind of cool. I have one (though it isn't updated) for Exiled. Congrats to Roland on the new release. I used to have theme songs, but now write to cat snores and quiet. I usually listen to my favorite songs when I write, but then there's a separate soundtrack for the characters since they usually have a different taste in music than me. I've heard some of Rush's new songs. I like. Can't believe I couldn't attach a few of those taglines to movies!!! I don't write while listening to music, but my stories usually do have soundtracks (I listen in between writing scenes). I saw Prometheus this week! It was good, very entertaining. I have a bunch of songs that remind me of my first book, one that fits it to the "T". I listen to music while I write. Plop in the ear buds and go to town. It helps me to focus, let the world quiet, and I can absorb myself in the words. As for a band used in my book, my WIP has a bunch of U2 overtones in it. There's a fictional band I've made up but in my mind it is U2. See U2 is my fav band, and Bono is my super hot hunk of a famous crush. Sigh! As for the movie quotes, I didn't get any of them, but the guy I'm dating (we pretty much decided that last night) got the Jurassic Park one. Good for him! I'm excited for the next blog fest. Woot! i dont have a whole soundtrack, but i did pick a song for my mc, and i'm only kicking myself on the jurassic park one, shoulda known that! and, yes, you're a tease! Awesome album purchase, my friend! I would've gotten some of those movie taglines. Volcano, The Fly, and A Fish Called Wanda (which is a comedy I love) would've alluded my grasp. Red Letter Media is genius! Loved his Star Wars Prequel videos. What a neat concept to have a soundtrack for a novel. Yes, I am kicking myself for not knowing the answer to quite a few of those taglines. Off to check out Roland's latest! Soundtrack? Hmm, I'm doing good to keep myself on track, LOL! We're off to ride an antique train tomorrow to Harrisburg, PA, thru widest stone arch in the States. A September blogfest sounds awesome!! Stephen, they just keep going. Robyn, it's been a long time since we heard that tagline. Julia, Bono has held up well over the years. Hey Matt! Rush rocks. And thought you'd appreciate the video. I do listen to music and my latest series has a sound track. The cool thing about that series is that my son's band is working on a song for the book trailer. Interesting to note the theme of music being so articulately noted in this guest posting. Any music that I put into a novel, would be as varied and as eclectic as my often change of writing genre. Somewhat akin to that awesome Canadian band, "Rush", with a smattering of "Beethoven" meets "Goose Creek Symphony". Have a peaceful, musical weekend. I'm going to see Prometheus (finally!) this weekend. Can't wait even though I'll be missing out on some lovely weather. There's always Sunday, right? mshatch, I enjoyed the visual wonder to PROMETHEUS. klahanie, I visited your blog and was very moved by your post. Thanks for following mine. Ciara, now that will make your novel even more precious to you! Kittie, I hope you enjoyed the visit to my blog. Comment will you so I can say HI. I just dragged in from a 12 hour day at the blood center@! Thanks for the thanks, M Pax. Weren't the visuals of PROMETHEUS fantastic? RaShelle, that is a great idea. If I had iTunes, I would do a soundtrack on PING. But I buy all my music from Amazon, and I would hate to have to buy the same tunes twice!! Rek, my ghosts are all friendly. And Victor Standish, Alice, and Sam McCord would protect you!! You're right, Cate. Sometimes my life has a soundtrack ... especially when I am on the roads, delievering rare blood! Christine, you were marvelous to have me on your blog yesterday! Ann: I know you loved Hibbs, the bear with 2 shadows. Hibbs is in END OF DAYS as well! Ella, thanks for thinking my idea neat. D.G. My ghosts like you back. I hope you enjoy my books. Alice does, too. Victor, the confident scamp, is sure you will ... at least his parts in them! This one will be it for awhile. My fingers and brain need to rest!! Angela, thanks for your kind words here and at my blog, too@=!! No, thank you, Julie, for visiting Alex and liking my rude self showing up here. I want to make a soundtrack - what a good idea! Hi Alex. All who know Roland know how much music means to his worlds and his characters. I was delighted to read this post by him. I've been hearing good reports on Prometheus. My novels do have soundtracks! It really helps to be in the moment, excited to be writing, with relevant music playing behind it. I write to classical music mostly so if there were a soundtrack a great deal would be classical. Blogfest in September? Let me see what's happening when I get to August and I'll see. My poems on my blog always have a musical theme to but as for my books I have not thought of that. Loved all the trivial, sorry I am late commenting bad day yesterday, but feel better today. Love Roland's soundtrack! Hm, I've never really thought much about my novel's soundtrack. Guess I should get on that! I only got Jurassic Park though I've seen all but two of the films! In my defense, I don't remember most of them at the cinema. I don't have any soundtracks to my writing yet. I do use it to get pumped up, but have to turn it off when actually writing. Music usually only gets mentioned if characters are in a car - I can't drive without the radio on! Like so many others here, I love music and I often hear songs in my head as I am writing certain scenes. When the scenes involve romance, I always turn to romantic songs I've downloaded in iTunes. When it's mysterious, suspenseful or adventurous, I turn to songs with those elements in them. I think music enhances our world in many different ways. Great post! P.M., music makes my drives, like with Nick, more enjoyable, so it just naturally splashed into my writing. You made great points. Thanks, Talli. Since most of my novels are set in the French Quarter, music just elbowed her way into my novels. LOL. Thank you for liking our idea. PK, wouldn't our novels be great as movies. Great luck with your new novel, by the way! Yvonne, I hope this next week is much better for you than Friday!! Shannon, I think all authors think in music at some point as they write. Ciara, that is really awesome! Gary, they are an awesome Canadian band. Denise, it's vital to me as well. Lee, at least you know the date! I have a song for each one of my main characters. It helps me become that character while I write. I look forward to hearing more about your blogfest...what a tease you are for mentioning it so early! I couldn't write a word without music to inspire me. And oooh, I can't wait for your next blogfest! I'm not sure if I have an entire soundtrack yet, but there are certain songs that I think of when I'm writing my story. So far the only music reference I've managed to work into the text is a fictitious band, but it does play an important part in the beginning and end. Blogfest sounds like fun. Can't wait to hear all about it. Great tips on infusing music into our writing. Also, I did recognize some of those quotes after I saw the answers! Joining your next blogfest, of course. Want to watch Prometheus now after some more research so will not watch video. My sis is a huge Rush fan, this will probably be her birthday gift. The novel idea of a soundtrack for a novel is great. The book I'm writing currently has old movies playing as soundtracks...so this really intrigued me. Great links Alex. I didn't know Cate, and now I do. I'm excited about another blogfest from you. I like Rush, I have yet to hear his new album. Patricia, hope the language wasn't too bad. Tina, be an awesome gift! I never seen a video with so many questions before. Nevertheless I still want to see Prometheus. Thanks to Rland Yeommans for an interesting gues post. I don't have a soundtrack for my book. If I did, it would probably be something from the 80's or the 90's. I'm a big fan of writing playlists, so I guess my work always has a soundtrack to go along with it. Saw Prometheus with my dad yesterday, and we both enjoyed it. Sequel? A soundtrack for a novel sounds fascinating. Isn't it interesting how some of the best novellas like the Positronic Man have been made into movies..... so thats my plan. I'm staying tuned in for the blogfest, Alex. Edi, let me know what you think! Milo, need something to answer the questions. Some of them anyway. That clip is so funny. The first thing I said to the person I saw Prometheus with after the movie ended was "I have some questions." Roland is too much fun! I'm reading End of Days now. I'll keep an eye out for the scenes he mentioned and play the soundtrack. Thanks Roland - and Alex! Gwen, how can you have too much fun? LOL. I hope you enjoy the book. I mention several other melodies in the book, and if you play them from YouTube as you read, I believe you will enjoy the added element! Depends on the scene I'm writing. I usually switch music/soundtracks depending on what kind of feel I'm aiming for. Interesting question! There's not much I CAN do without music...having never written a book I can only imagine what I would play if I were writing one...anything from Tom Waites to MJ, Daft Punk to the Violent Femmes,Mika to Leonard Cohen...and maybe some Verdi!...oh no..wait a sec..that's my doing laundry soundtrack! Missed, I bet you did! Kela, I've been writing as well. Roland, sorry! Just save the date. All my WIPs come with sountracks! I make a youtube list and listen away while I write. Thanks for posting Alex! The red letter media video made me laugh all day. I think they had a lot of valid points w/ Prometheus. Unfortunately I think the writers mistook pretentiousness for depth. It could have been so bloody brilliant had they had another writer reign in the 'Lost' writer. Novel soundtracks are so fun! I have them for my own books, and always like to hear about the music that inspires other writers, too. Music is an important part of my writing. When I hear a song it can inspire me to see a scene or remind me of one. 20th studio album...the mind boggles! Glad it's getting good reviews, I have yet to check it out but it sounds promising indeed! This is a tough one for me. When I wrote my YA historical, I didn't use music at all. Actually, I found it distracting. However, when I began the rewrites, I did listen choose to listen to music that fit the mood of the project. Mood music did lend its hand in incorporating emotion into the writing, that's for sure. End of Days is on my TBR list. :)) I'm glad to hear from Roland that Victor will still be in the story, even if only in spirit! I finally rented JOHN CARTER. It was not nearly as bad as I thought it would be. Actually kind of enjoyed it. PROMETHEUS is next on my list. Soundtrack? Must haves. Must be playing music when I write. What I listen to depends on the scene I'm writing. Trisha, they've been making music for a very long time. Candy, we'd miss him otherwise. Liz, see? It was a fun movie. I think all the soundtracks to my novels would be made up of Tori Amos and Sara MacLachlan songs. Hmmm . . . what does that say about me? Also, I can't believe I missed that Army of Darkness reference! Music helps me write. Typically instrumental. My current WIP has Philip Glass on loop. I most definitely have a soundtrack for my works--some of it composed by myself. But I have trouble listening to music while writing. It's too distracting. So if I need mood music I play it just BEFORE I write.